The likelihood of survival after a truck accident is very slim. However, if you survive, you will have to drag through a period of pains and serious discomfort. You may even suffer trauma but you can make up for it by making moves to receive a compensation for the troubles. To receive full compensation, you should hire the services of a topnotch accident attorney. You can get one in Oceanside, CA by rushing to Rawa Law Group. Rawa Law Group is a topnotch legal group that boasts some of the most reliable attorneys in the whole of the state of California. Our attorneys are highly trained in the field and dish out their duties with so much professionalism. We have more than 50 years of combined experience in this business. We are at your beck and call and will work with you personally to give you the best legal advice and representation you need to make maximum claims and achieve a prompt settlement. All these come at no hidden charges to you. When you hire the services of Rawa Law Group, you are liable to enjoy our zero upfront costs and can only pay us when we must have won your case. Our lawyers can also be dispersed to a victim’s house or hospital where treatment is being given to them and that entails much flexible appointment hours no matter your/our schedule. While working on your case, be sure to be aware of every move we will make until the end. 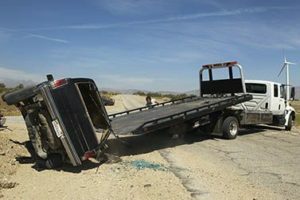 It is important that you get not just any truck accident attorney, but a topnotch lawyer. If you want to hire a topnotch truck accident attorney in Oceanside, CA, and take advantage our free case evaluation, contact us via the below address.